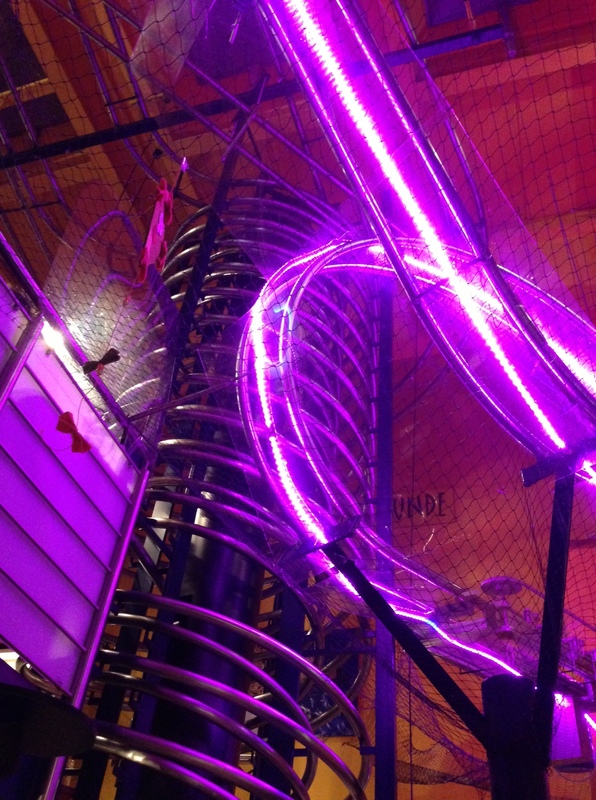 s’Baggers: A Rollercoaster Restaurant in Nuremberg – Sunshine. Whimsy. Tacos. Quick edit in February 2017: I just learned that the restaurant in Nuremberg is no longer open to the public. It’s being used as a training site by the parent company. http://www.rollercoasterrestaurant.com/ has a list of other locations. 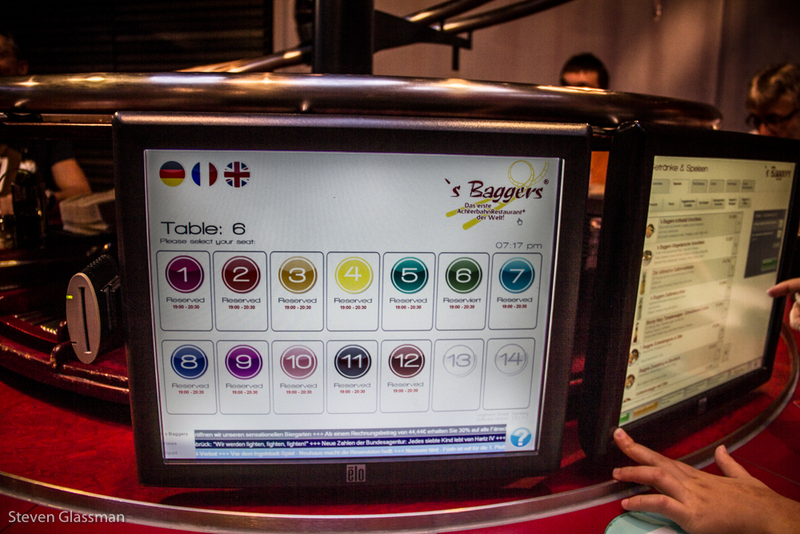 There is a restaurant in nearby Nuremberg called s’Baggers where you order your food on a touchscreen and the food is delivered to your table automatically on metal rails. Apparently, Rollercoaster Restaurants are a growing industry. 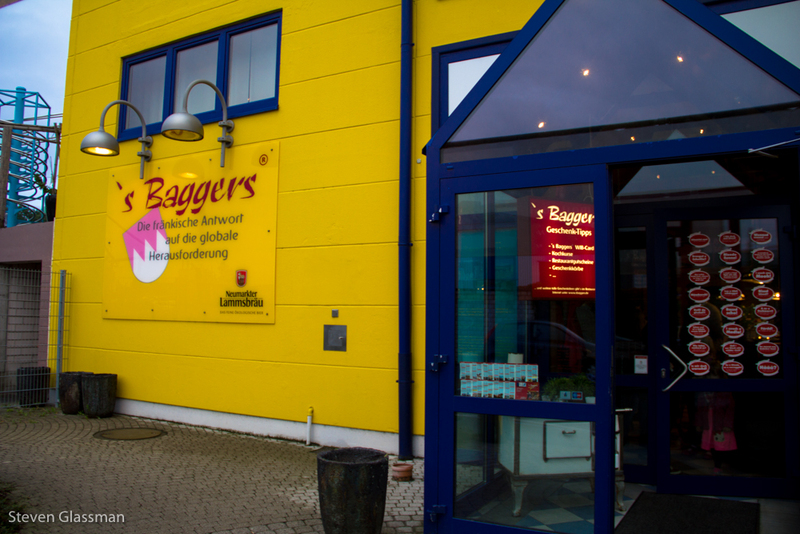 The company behind the design of s’Baggers is making one of these in Dubai, and there are also restaurants like this in Hamburg and Dresden. I love restaurants with gimmicks. I’m a huge fan of revolving restaurants, for example. Needless to say, I wanted to try this place as soon as I learned that it existed. I contacted my favorite Nuremberg resident, Heather from Heather Goes Deutsch, to see if she and her boyfriend wanted to try the restaurant as well. They did, and we made plans to try the place out. The front entrance is bright and friendly, as a family friendly restaurant ought to be. Inside, the rails that lead from the kitchen to each table are looped artfully around the room. There’s a center column that goes to the downstairs tables, and a fast track where the occasional container would loop upside-down for a moment. 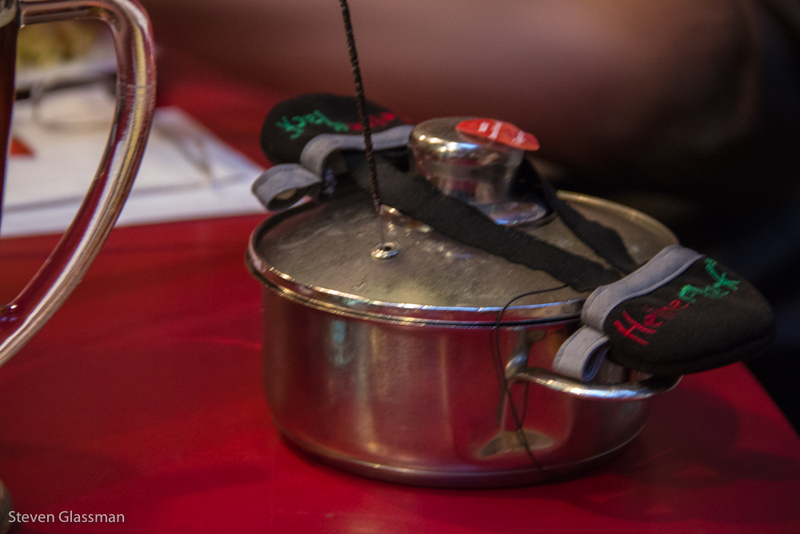 The rope-lighting would change colors and flash on and off to let you know the fast dishes were about to come through. There are no waiters. At your table, you order via a touch screen. The menu is quite huge; there’s a wide variety of food available. 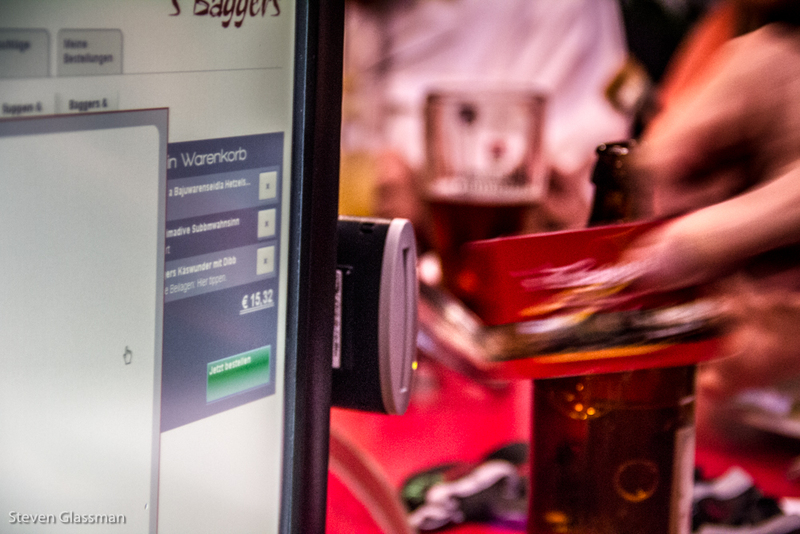 Once your order is selected, you put your meal card into the attached card reader. This card is given to you when you walk into the restaurant, and anything you put on it is paid for when you leave. Vapiano uses the same type of card system, so if you’ve ever eaten at one of those restaurants, you’re familiar with this setup. The kitchen staff is amazingly fast. Our beverages were out no more than three or four minutes after concluding the order, and the food came out very quickly after that. 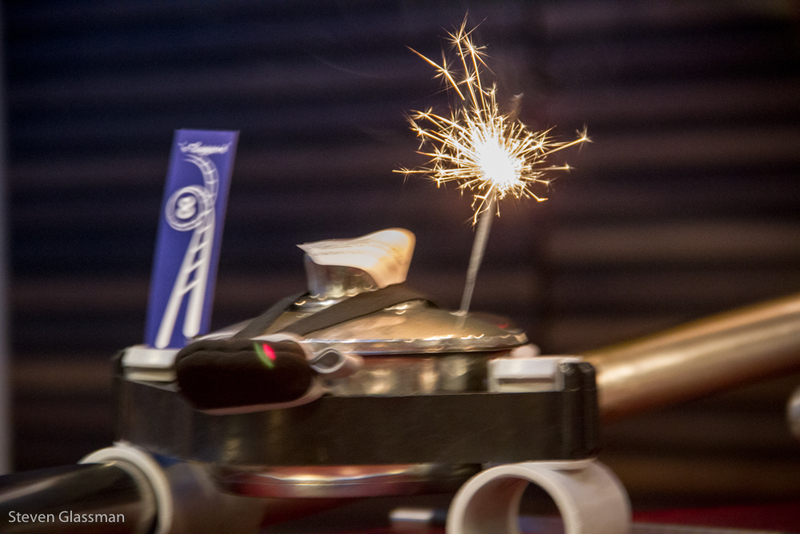 Main dishes often had terrifying sparklers attached as they came down the rails. A little colored flag attached to each dish lets you quickly spot whether it’s yours or not. Most entrees came out in one or two little pots like this one. I had a chicken and rice dish with vegetables in a nice peanut sauce. The rice came in one of these pots, and the chicken and vegetables in another. 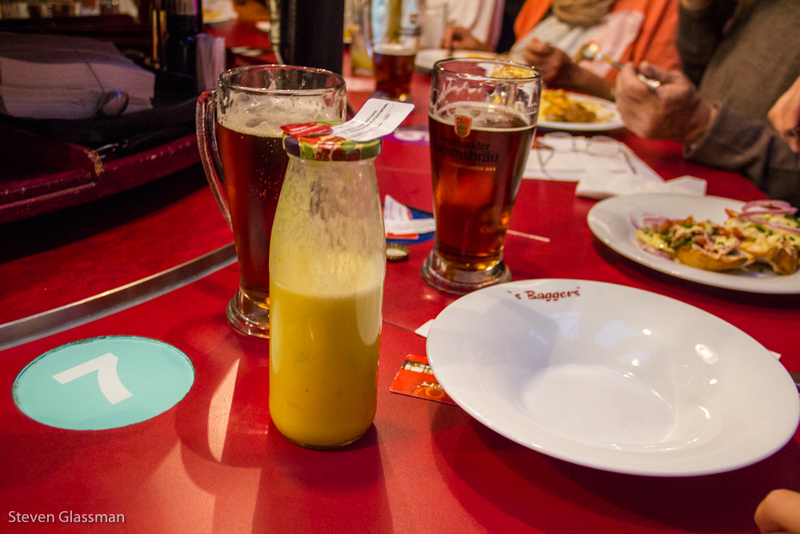 Heather ordered a pumpkin soup, and it came down the rails in this little jar. 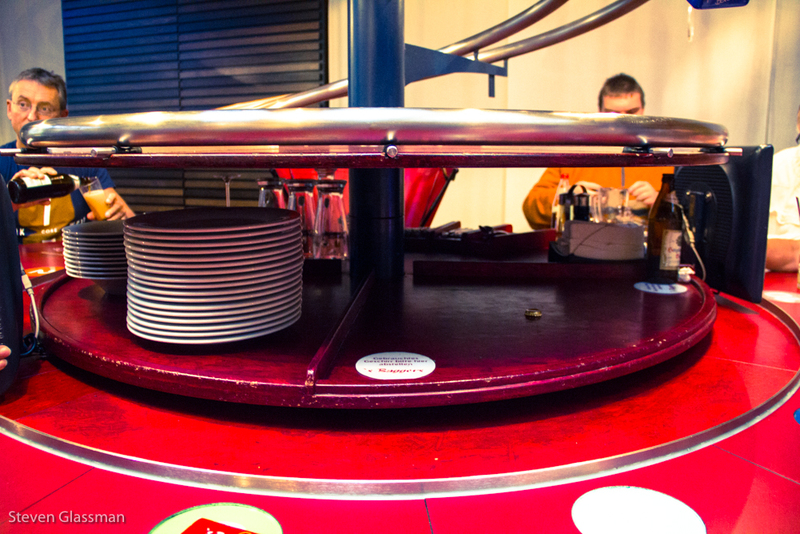 Underneath the rail system on each table is an enormous lazy susan containing plates, bowls, napkins, silverware, and a bottle opener. The section visible to the right of the plates is also where you put empty pots, used plates, and so forth- staff from the restaurant would come by periodically to empty out that section. 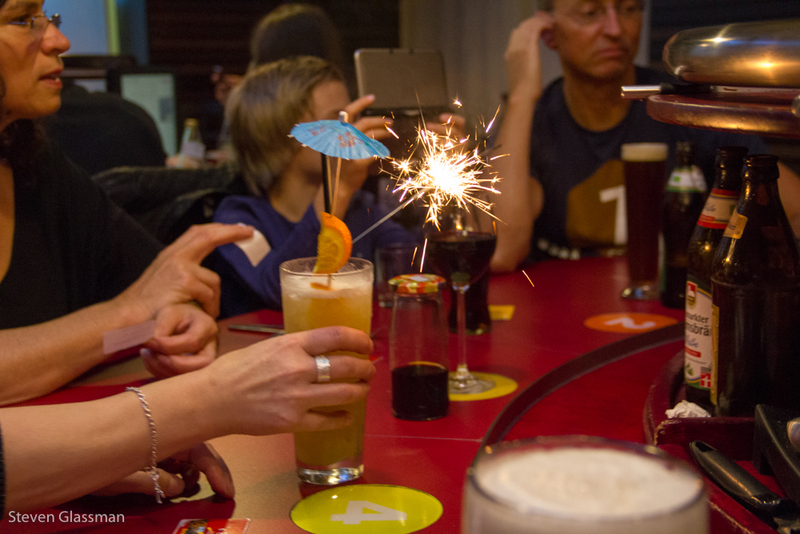 While most of the beverages came down the rails, every once in a while somebody would order something that had to be hand carried, like this cocktail. I ordered dessert after my main course, a freshly baked hot brownie with some vanilla ice cream. It came in a tall glass like the one above. It was the most delicious brownie I have eaten in more than a year. Seriously, you guys, check this place out. You really won’t regret it. 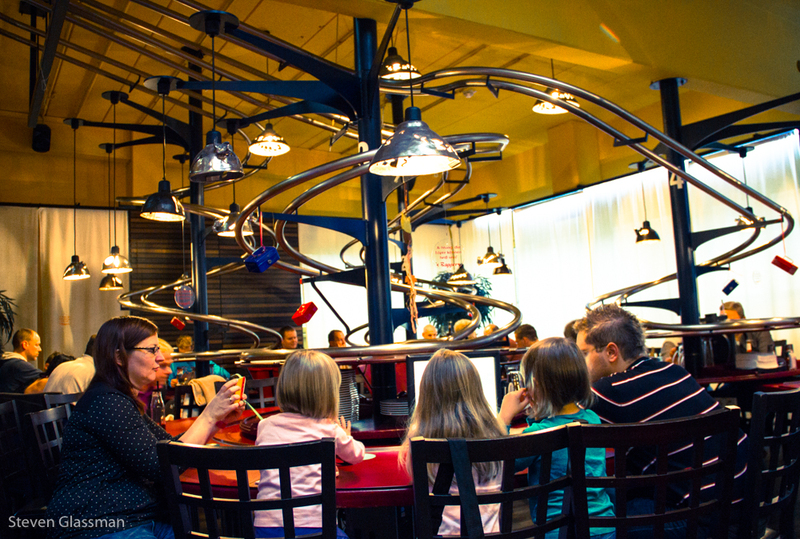 Have you ever eaten at a rollercoaster restaurant? What’s your favorite type of novelty restaurant? That sounds so cool! I was impressed by the ChooChoo restaurant in Des Plaines, IL, where your food arrives on a train. Yours beat that hands down! That looks amazing! I hope they make one near me! I took my family here tonight after reading your post. Totally worth it! It was the perfect family friendly place to have dinner and we were both constantly watching the little cars whiz by too. We will be staying in Regensburg in a few days too. Never been but it looks cute. I’m glad you enjoyed yourself; I quite liked the food there. When will you be in Regensburg?